One of the pre-installed apps on the PS Vita is a web browser. Although it's not that different from web browsing on a PSP, the browser itself has been improved over the PSP's version, making it an easier and better experience. Before you are able to get online with the web browser, you'll first need to set up your PS Vita for internet access. To do that, open the Settings by selecting the icon that looks like a toolbox. Select Wi-Fi Settings or Mobile Network Settings and set up your connection from there (on a Wi-Fi only model, you'll only be able to use Wi-Fi, but on a 3G model you can use either). Once you have an internet connection set up and enabled, select the Browser icon (blue with WWW in it) to open its LiveArea. You may see a list of websites on the left, and website banners on the bottom right (once you've visited a few websites, you should start to see items here). You can use either of these to open the browser and go directly to the website listed. If you don't see those, or if you want to go to a different website, select the Start icon to launch the browser. If you know the URL of the website you want to visit, select the address bar at the top of the screen (if you don't see it, try flicking the screen downwards) and type in the URL using the on-screen keyboard. If you don't know the URL, or want to search on a topic, select the Search icon—it's the one that looks like a magnifying glass, fourth one down in the right-hand column. Then enter the name of the website or the topic you're looking for, just like you would with your computer's web browser. Following links is the same as using a computer browser, too—just tap on the link you want to go to (but see below on using multiple windows). The browser app doesn't have tabs, but you can have up to 8 separate browser windows open at once. There are two ways to open a new window. If you want to open a page for which you know the URL or start a new search in a separate window, tap the Windows icon in the right-hand column, third from the top (it looks like stacked squares, with the top one having a + in it). Then select the rectangle with the + in it from the screen that appears. The other way to open a new window is by opening a link on an existing page in a new window. Touch and hold the link you want to open in a separate window until a menu appears, then select Open in New Window. To switch between open windows, select the Windows icon, then select the window you wish to view from the screen that appears. You can close windows from here by selecting the X in the top left corner of each window icon, or you can close a window when it is active by selecting the X at the top of the screen, just to the right of the address bar. To add a web page to your bookmarks tap the Options icon (the one in the bottom right with ... on it) and select Add Bookmark and then OK. Visiting a previously bookmarked page is as simple as tapping the favorites icon (the heart at the bottom of the right-hand column) and selecting the appropriate link. To organize your bookmarks tap the favorites icon then Options. You can also save images from web pages to your memory card by touching and holding on the image until a menu appears. Select Save Image and then Save. Naturally, with such a tiny screen, you need to be able to zoom in and out. You can do this by pinching your finger apart on the screen to zoom in, and pinching your fingers together to zoom out. Or you can double-tap the area you want to zoom in on. Double-tap again to zoom back out. While you can use the web browser while playing a game or watching a video, display of some of the web content will be limited. This is probably an issue of memory and processor power. So if you plan to do a lot of browsing, it's best to quit out of your game or video first. If you just want to look something up quickly without quitting what you're doing, though, you can. Just don't expect to be able to watch videos on the web while you have a game running in the background. 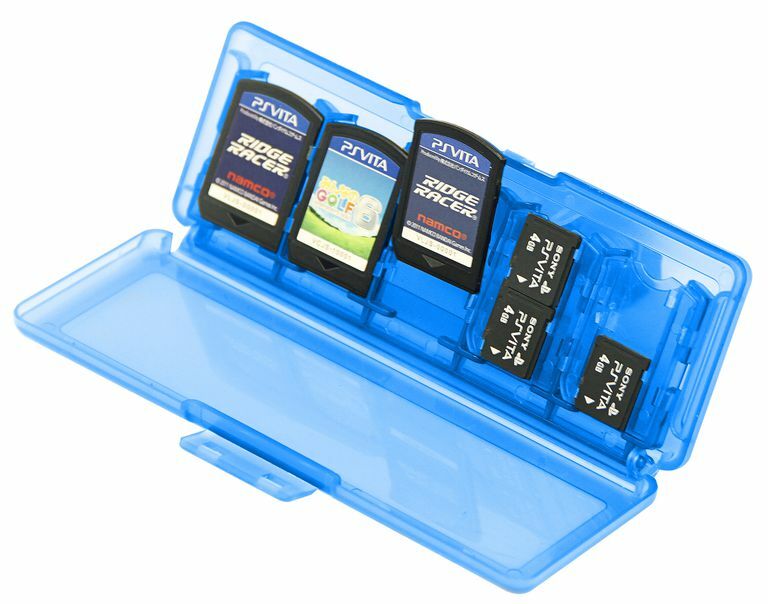 What Media File Formats Are Compatible With the PS Vita? Which Games Can the PS Vita Play?